CodeForces 180 will take place at 19/4 17:30 (CEST). I (GagGuy), and Ivan Li (AEtheReal) are the authors of the round. 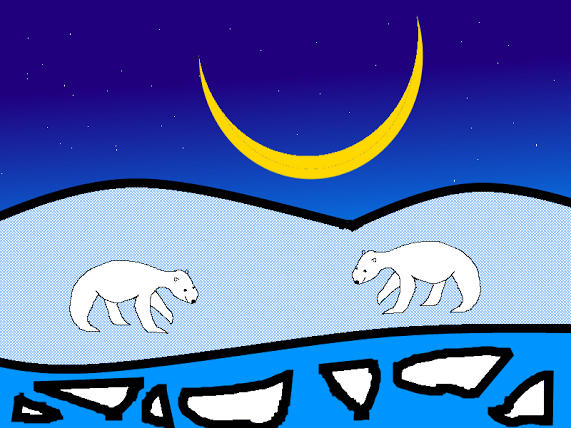 This time you will need to help some polar bears to solve their problems. You know, life in the arctic is hard, they may face difficulties about catching fish, keeping warm etc. Thanks Gerald for helping us to prepare the round, MikeMirzayanov for the great platform and Delinur for translation. We hope that the polar bears are not going to eat you. Good Luck. Editorial is here(All except Div 1 E) and here(Div 1 E). 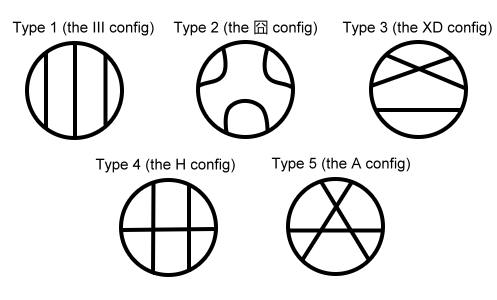 In 297E - Mystic Carvings (written by AEtheReal), the figure in the problem looks like the facial expression "XD" and "囧", which is done intentionally. Good to see new authors here. what is the score distribution? standard maybe? if the problem contains picture, would it drawn with paint too ? new authors and new heroes. thank you for the contest and wish everyone lucky. Thanks for the nice bears, I really enjoyed the picture. Looking Forward to the Round tonight. Good luck and high ratings for everyone!!! Thanks for the great contest theme :-) I expect great problems "stories" and statements. Polar Bears , here we come ! Just noticed that the polar bears are mirror images of each other! 1-The picture is of night and the contest is also at night. 2-The bears meet each other and participants will meet the solution easily. It seems that you have Deep Meaning Search Syndrome. But, according to codeforces time, it is at night. Hope Short stories and statement of problems. Thanks to the authors and CF, This is my first round. I admire good art ! In problem "C div(2)" what does parity(a) mean??? It is explaied in statement. Read carefully. Thanks and sorry my mistake!! One ticket to Div — 2, please. Strange that there is so much submissions on div 2 for Parity Game: the distribution of the number of submissions for Parity Game and Fish Weight are inverted for div 1. A lot of system test fail ? Very interesting problems. I've never tried these 'within x% of an optimal solution' tasks. Any tips on C and D (Div 1)? If k = 1, answer is obvious. If k >= 2 answer is always YES. Let's do following. If n > m, rotate the field. Now n <= m. Let the horizontal equality/not-equality signs will be row conditions, vertical — column conditions. We will use only two colors. We will satisfy all row conditions, and at least half of column conditions. Suppose we had satisfied all row conditions, then we know for each row how it looks — there can be two variants of each row (variant with inversed 1 <-> 2). Let's color by rows. If we colored all rows till i-th, let's choose one of two variants of colorint i + 1 such way that we satisfy at least half of column conditions between that two rows (it's always possible). So we satisfy >= n * (m — 1) + 0.5 * m * (n — 1) conditions, that's >= 0.75 * total. We use only two colors, even if K > 2. There is no need to use all colors. Very hard problem A. How to prove it? I submitted wrong solution, wrote a stress, realized that solution is wrong and... blocked the problem and get +700 points for the hacks. From every sting we can get string (cnt + cnt%2) ones. Just erase 0, and erase and add to and 1 if even ones, just add 1, if odd ones. It can be reversed to get any string from bigger number of ones. Let a be the original string and b — the final string. If parity(a) == 1, let's immediately append '1' to its end. Then let's append symbols of b to the end of a. If you need to append '0', you can just do it. Else, you need to erase symbols from the beginning till the first '1', and then append '1' to the end. So, you can transform a to b iff one_count(a) + parity(a) >= one_count(b). I was hacking someone's div2 D in the last 30s, but I accidently and unsuccessfully hacked his/her problem A instead. I've never read his/her problem A, but I will be happy that the sys test will prove my hacking is right. The problem becomes really difficult when the original array is not a unique array. How to approach div2:E/div1:C ? I really liked this contest, especially those constant-factor approximation problems. It's something one cannot expect in other contests like TopCoder, Google Code Jam, etc. But today both problem C and problem D was in fact problems with exact solution, there was no need to approximate anything in usual way. Hi guys, I just need your attention . A man who his name is Rado Asked me to give code of question C and he will give me code of A. He even sent me that code to convince me to sent him C. I didn't do that and I even didn't read that question. I also saw a blog that was about his cheating. they didn't do anything with him, but now plz plz help me to kick this cheaters out of CF. UP1: I send messages to Gerald and Mike but they haven't read it until yet. UP2: MR.Mirzayanov send this message. "Done, thanks." I have to thank him as well. I think he means the moon shouldn't allow us to see them. Hi, I can't find out why my fishes problem exceeded time limit. http://www.codeforces.com/contest/298/submission/3573315 Can someone with a keen eye spot what's wrong? Thx in advance. Is there a way to get full test case data? Confirmed. Same code in C++ worked under 360ms in the worst case. It's not first time when Mono compiler let's me down. I have used shuffle before sort, as Dalex proposed elsewhere, and it ran under 140ms in C#. It's antiquicksort test. C# has the most stupid implementation of quicksort (pivot = a[(left+right)/2]). Arrays.Sort uses a quicksort algorithm with a[(l+r) div 2] median. There's an anti-quicksort test at testcase 60. Update the ratings so I can see myself everytime farther from division 1. Is there a way to find the full case when the window shows "..." at the end? I failed case 49 of problem C div2. And while I already know the more elegant solution of using a simple formula, I'd like to know what went wrong. I was afraid that was the case. I guess I'll have to try to find such a case myself. Thanks, now it's quite clear what was my mistake. Off topic: I'm experiencing a weird bug in google-chrome on 64 bit linux. On the right side I have a ruler with 2 arrows(one up and down) but when I press the up arrow it acts just like the down arrow. Anybody else experiencing this? Here they seemed to me, as you say, to do the same. There I can see the (actually "a", can't tell for sure how it works) difference. I get the same behavior (chrome on ubuntu 12.04). However, it says "New comments" when you point your mouse at it, so probably that thing is supposed to scroll to the top/bottow of new comments at the current page. And if you're in the middle of the page, it will scroll you down, as all new comments are in the bottom. Hey, can someone help me discover why my B (Div. 1) failed because of TLE. I have a regular solution — sort and use "two pointers" method. It usually works in under 100 ms, but takes over a second on test 33 (most likely infinite loop). So I probably have some bug in my code, but I cannot discover it. I'm not sure about this, but if bi >= 0 and ai == -1, you might get stuck in your first if-else-if case. Oh, damn it! Added ai>= 0 && bi >= 0 to that clause and it passed. Thanks! the contest for div1 depended on time too much(my mean is more for persons that accepted A and B)for example there were somebody that accepted A and B and with succesfull hack and their rank became so good while there were somebody else that accepted A and B with better time and spent the remainder of their time to the other questions and at last their score became less than the persons that got succesfull hack.and so it might be so diference between two persons that almost have the same skill(specially for persons that accepted A and B).so it will be better that the contest donot depend of time so much(of course it is my idea and my mean was for many contests not only your contest and also my words was a offer) at last thanks for the contest and sorry for my poor english . For me, it was more like not reading the words "unique" and "distinct"; I got the solution's sketch after noting that. A lesson to read the problem statement more carefully next time. It might also be useful to emphasize the word "distinct"? I have some apokalyptically weird problem with my solution of D (Div. 2). I kept getting WA 1 sending the solution last minutes. It 3574362 says the code gives NO for the first pretest, but on my computer this exact code does give YES. I can't get it. Does anyone else have this problem? Am I the only one who thinks why the moon in that picture is YELLOW? Thank you for the contest! I liked the problems, they are more natural (as in "not too artificial") than a typical Codeforces problem. The polar bears are very cute, and the problems are very interesting..
Server time: Apr/22/2019 18:05:28 (e2).